A new hit of the "sweet spot" for gamers, the EVGA GeForce GTX 660 delivers the ultimate combination of performance, power efficiency, and affordability. This card is built around 960 CUDA Cores with 3072 MB / 192 bit GDDR5 memory to render your blockbuster games with vivid details and skip-free pictures. This FTW Signature 2 model is factory overclocked to 1072MHz Base Clock/1137MHz Boost Clock - a level higher than the 980MHz Base Clock/1033MHz Boost Clock than reference specification for delightful performance boost and higher framerate in actual gaming. Enjoy great peace of mind with the dual silent fans that deliver quiet cooling. 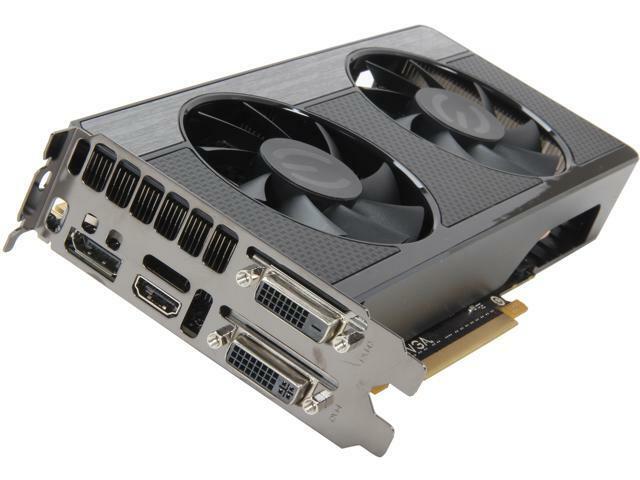 GeForce GTX 660 also packs support for all the premium GTX gaming technologies such as NVIDIA Surround, 3D Vision, PhysX and SLI. With these features and more, the EVGA GeForce GTX 660 gives you more than one way to elevate your experience. TXAA AntiAliasing Antialiasing helps to smooth out jagged lines in games. Existing techniques like MSAA are effective at removing jagged lines in still images but struggle with crawling and shimmering artifacts when the player is in motion. TXAA is a new antialiasing mode that combines MSAA, temporal filtering, and post processing for the highest edge quality and minimal shimmering during gameplay. NVIDIA 3D Vision Ready NVIDIA 3D Vision brings a fully immersive, stereoscopic 3D experience to the PC. A combination of high-tech wireless glasses and advanced software, 3D Vision transforms hundreds of PC games into full stereoscopic 3D. Get up to 2x monitor and keyboard brightness with NVIDIA 3D LightBoost technology. In addition, you can enjoy 3D movies and 3D digital photographs from 3DVisionLive.com in eye popping, crystal-clear quality.